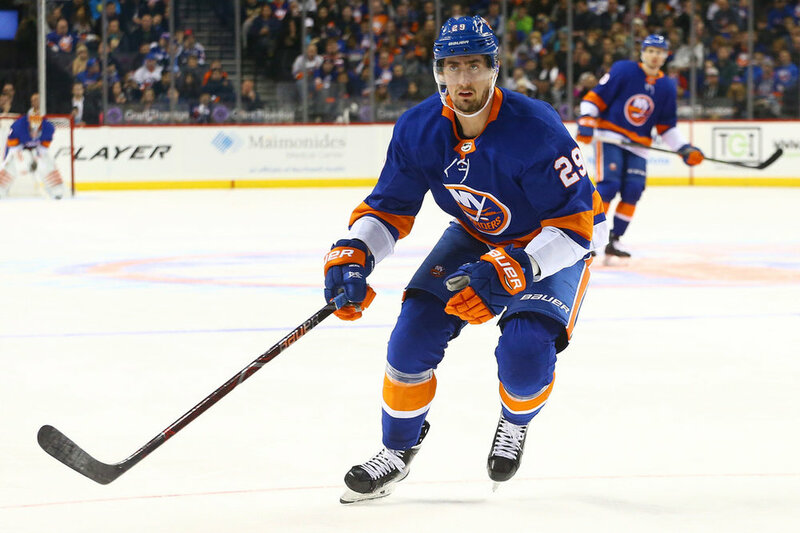 The New York Islanders have had limited contract discussions with Brock Nelson and his agent, to date, but that does not seem to concern either side, multiple sources close to the team tell TFP. Nelson, 27, is scheduled to become an unrestricted free agent July 1 after his one-year, $4.25 million deal expires this summer. Islanders GM Lou Lamoriello and Nelson’s agent have had very brief talks about the forward’s status, and negotiations aren’t truly expected to pick up until the off-season – though it’s possible the Islanders engage in talks again after the trade deadline. The Islanders’ primary focus appears to be on getting captain Anders Lee signed – negotiations have been ongoing for several weeks – and the Feb. 25 trade deadline, where the Isles are expected to be active in trying to add to their roster. Nelson is on pace for a career-year 52 points, and if he maintains this level of production, it will be the first time in his NHL career that he eclipses the 50-point mark. The native of Warroad, Minnesota, will see his salary climb north of $5 million per season on his next deal, though it’s unclear what he may be specifically looking for, at this point, as negotiations have yet to begin. In 49 games so far this season, Nelson has picked up 16 goals and 15 assists for 31 points.